The specifications and technical standards were devised to standardize three sectors: mass customization, the industrial cloud platform-COSMOPlat system, and the manufacturing execution system (MES) for the home appliance industry. 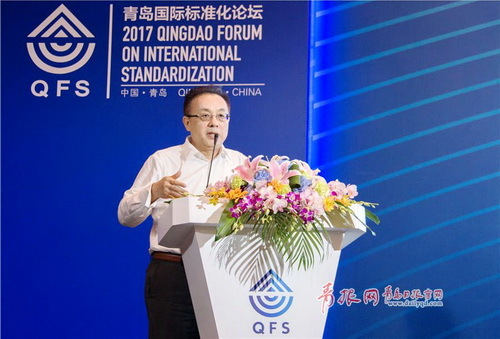 The new standards were jointly researched and published by Haier and other member organizations of China's first Manufacturing Innovation Strategic Alliance (IMSA). These organizations are pioneering global intelligent manufacturing standards concentrating on user experience (UX). Different from standards set by the United States and Germany according, IMSA's standards were developed to fit in with individualized, fragmented and smart characteristics of the information era. The COSMOPlat is said to be the world's first cloud-based platform for the industrial internet. In the current era highlighting intelligent manufacturing and user experiences, COSMOPlat is prominent as it values consumers highly and is leading the way in the world market. It gives belief and respect to consumers, engaging them in every critical part of the industrial process, from research and development, design, production and logistics to iterative upgrades. In that platform, users can have the freedom to make demands for what they think is important and Haier's internet factory will put these into production once demand reaches a certain quantity. In this way, users' roles are diversified into consumers, designers and manufacturers. As an open and all-embracing platform, COSMOPlat encourages third parties to share their research accomplishments and make more discoveries. 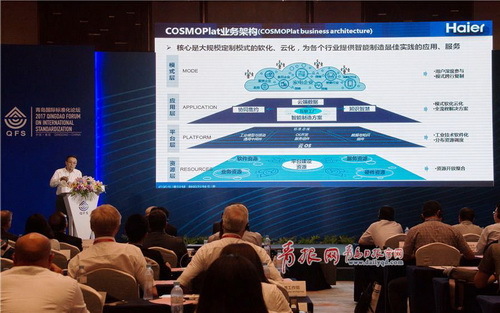 As Zhao explained, COSMOPlat will also work to connect businesses to intelligent manufacturing resources and help them transform them into mass customization. The platform has by now attracted over 10 million registered users. Haier is also using the platform to create and promote eight inter-connected plants specializing in producing refrigerators in Shenyang, air-conditioners in Zhengzhou and Jiaozhou, and front-loading washing machines in Foshan, to the seven major industries including electronics, textiles, equipment, construction, transportation and chemicals.